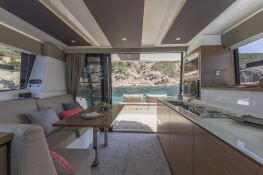 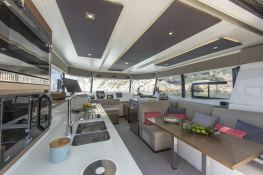 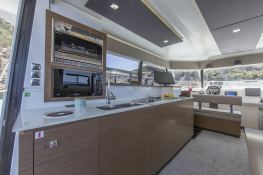 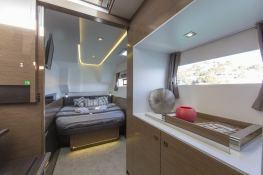 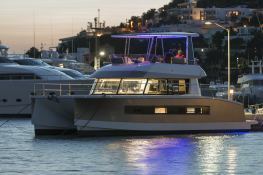 The M37 is a beautiful trawler catamaran for rental in southern of France allowing you to browse the entire French Riviera from Saint Tropez. 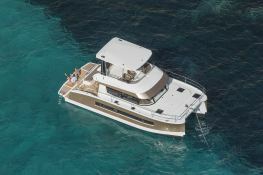 Situated in Saint Tropez, French Riviera, this motoryacht MY 37 (4 double cabins), built in 2015 by Fountaine Pajot, is capable of hosting up to 6 pax. 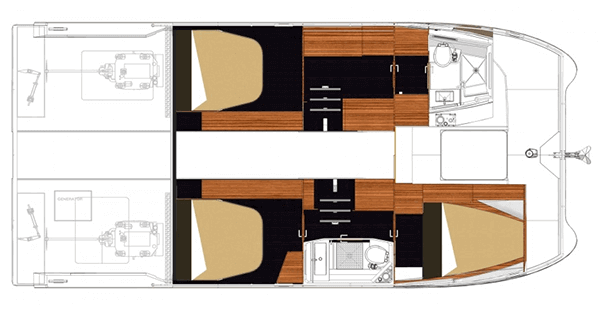 Further more, and for a better motoryacht charter experience, MY 37 comes with 2x150 Hp engines. 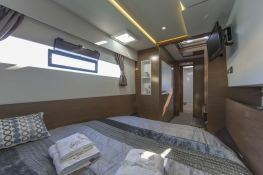 This motoryacht is available for yacht charter starting from 3 030 € (approximatly 3 417 $).